So, it was my first time to Setouchi!! I'm so excited because this time I'm going to explore another *new prefecture in Japan. Oh my god! Then when I shared all my journey and photo on my instagram with a hashtag of #GetHomeAwayinSetouchi & #Ehime, everyone was like where is Setouchi? Is Setouchi a new prefecture? Then why are you guys checked in the location in Ehime? Also, one last frequently asked question: Where do you stay (after I uploaded my super awesome apartment on my instagram lol). Now, to answer your first question you can refer to Cheesie's post > click here or if you would love me to explain it to you then I will show you a simple graphic about what is Setouchi and where is Ehime. Here is a simple graphic that able to explain everything in once. So basically Setouchi is not a new prefecture or refer to a specific place, it's actually a region. A region where the mild southern climate, soft sunshine and calm inland seas have made it popular among Japanese travelers for centuries. 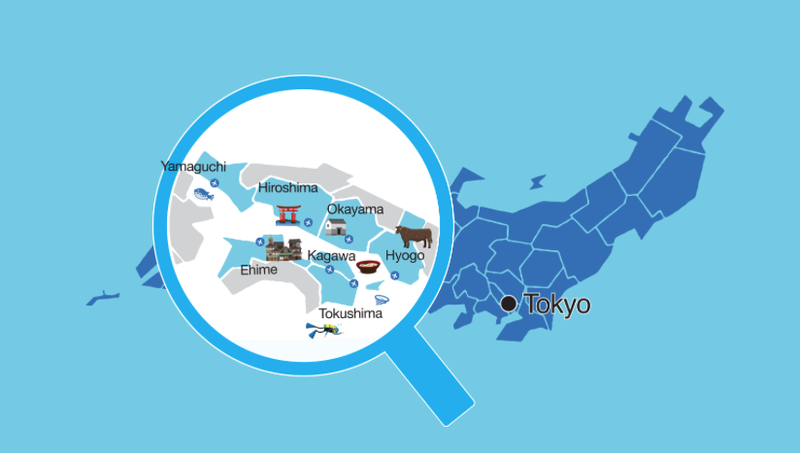 Also a region that includes 7 prefectures = Okayama, Yamaguchi, Hiroshima, Hyoga , Ehime, Kagawa, Tokushima. I'm so glad that I'm able to witness all of the beautiful scenery in Setouchi. It's something new for me and I have totally zero knowledge about it! But this makes me even more happy. Its stunning landscapes are now attracting visitors from all over the world and I'm also the one who get attracted by the culture , scenery and food too. 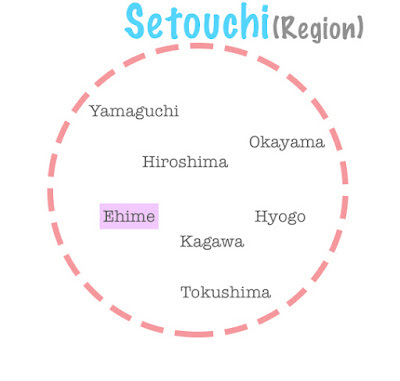 So here's a little description of the 7 prefectures that officially included in Setouchi region. To be honest, I wanted to visit Hiroshima after this visit to Ehime. Should put this on my bucket list of year 2017 lol. So the mission of the trip was mainly to explore this beautiful prefecture for a local experience. Whether it's exploring the local food and the culture, walking around the street or just dining with my friends , it gives me a new experience of traveling to the country side with with much less tourists and more local activities to experience. Coming back to the top question of this trip, most of you get shocked by the house I'm staying during this trip in Setouchi. Actually these are all on HomeAway website. Sounds familiar? Yes, I have stayed alone with Homeaway in Singapore before I flying off to Japan with Cheesie this time. (You can check out my Singapore Gateway post here) It totally changed my whole travel experience because I love how comfortable our stay was and most importantly, privacy! It means that you got the freedom to do whatever you want on your whole apartment or house. The space is bigger and you get your own living and kitchen area too. Just like your own house. I guess for those who read my blog before you know that I don't really prefer share house with strangers during my stay mainly because I dont like to share the toilet with other people and I guess for girls it's really dangerous if you have to share your homestay with another man or a group of men. lol I experienced all of these before during my previous trips and that's why I would never recommend it if I didn't feel it's really safe to share the link with you guys. Not until I experience HomeAway, I just can't not share this vacation rental site with you guys. It is more private and you can enjoy the whole space with your family or your friends. It makes the whole experience more fun and enjoyable. I'm so happy that HomeAway listed and collaborated with Setouchi because it makes the whole booking process much easier with everything written nicely on their website. Why? Because most of the private houses / apartments in suburbs of Japan are really hard to book. Either it's all in Japanese or they don't even provide online booking system. So it's really hard for us book them ourselves since most of us can't communicate in Japanese language at all. lol Thank you Homeaway for making it happen by connecting everything in one place. The 3 listings we stayed during our trip were just amazing! The photo of our homes during this trip were featured in this little lovely town. No words can express my whole new experience staying in Setouchi. It's lovely and makes me feel like I am home. The owner of the house prepared breakfast for us every morning and took care of us like his own family. The breakfast was so yummy and I miss it now :'( Never thought the breakfast was included in our stay but this is why it melted my heart lol. All of our stays were surrounded by many nice local restaurants which serve great foods and their locations are convenient for sightseeing of Uchiko Town. There is a convenient store location just 5 mins away from the house. You can easily reach the convenient store / our favourite drugstore by walking distance of 10-13 mins too. Sorry for keep you waiting and here's the 3 listings that we stayed during our Setouchi Trip in Japan. I linked it down for all of you and now, let's get started! 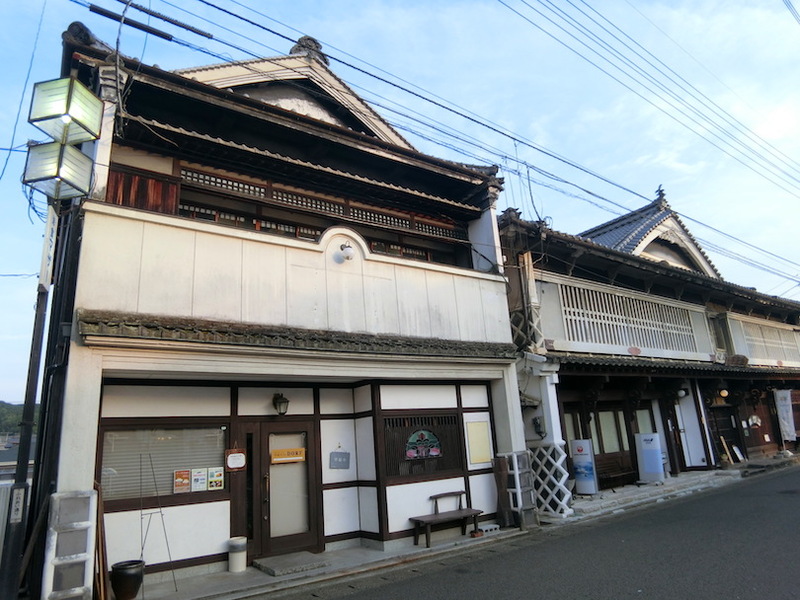 The first historic listing is an over 100 years old house that was newly renovated in Uchiko-town, Ehime prefecture and we were the first few to try staying in thee historic properties. You will be surprised that the entire second floor of this house belong to us and it has a super huge living area which can fit up to 6 persons (best choice to travel with a group of family or friends). Also, we enjoyed our breakfast with a nice garden view which was located on the first floor. Btw, It's also a CAFE on the first floor!! Damn cool!! 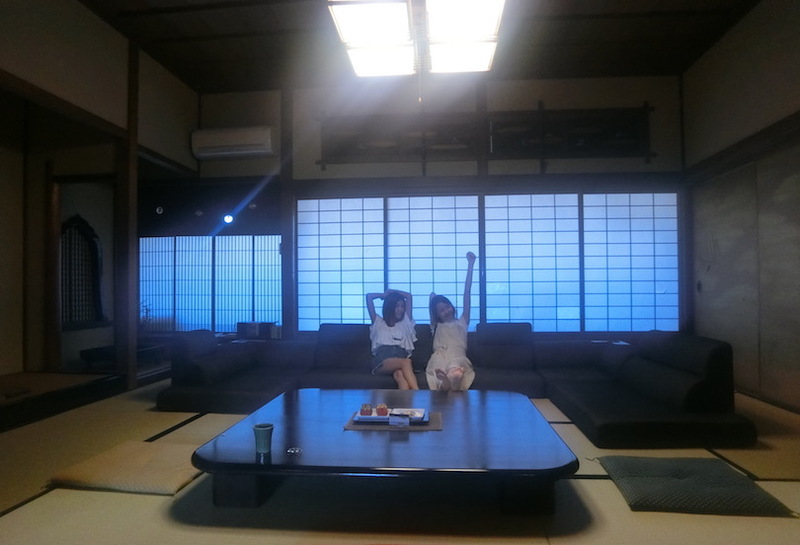 Even got a space for us to chill :'( OMG I MISS EVERYTHING IN SETOUCHI!! The super huge living space for us. Can fit up to 6 persons. So this is the first floor where we get served our daily breakfast... and look at the whole interior!! Some photo taken in front of our first night stay! Another photo with her! OMG look how cozy it is in our house! Some lovely photo taken @the Uchiko-town. 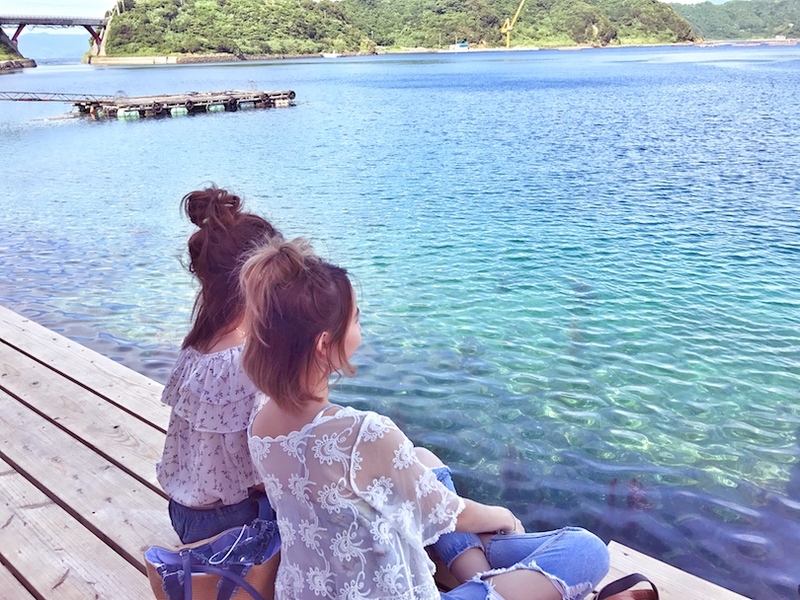 Us <3 I can't wait to share more beautiful photo taken in Setouchi with you guys!! Stay tuned for more ok? Second and third stays were more or less similar because they are located just opposite to each other. The house was originally a storehouse. Something like the cottage house restaurant that I visited in the early or January in Iwate prefecture. Everything in the house is renovated with amenities like a modern house but for me it's more than just a house. I love the scent of wood and it's so muji style interior design. The first floor of our house is the Japanese-style tatami living room. Also, a wooden-bath tub and muji style bathroom. Both second and third stay have a beautiful courtyard right in front of the Japanese-style room. We even spot the surprise guest Mr.Raccoon which came to the courtyard and said hello with us! OMG!! overwhelmed with the amount of surprise that I received everyday during our trip! ahahahah! Now let's take a look on the second floor. There is a bedroom with two double beds (which is modern bedroom style), can fit up to 4 persons and more people can be accommodated sleeping on futons (tatami style) in the living room on the first floor. Also, a tea corner and big full body mirror on the side of our bed. You are here again! HAHAHAHA So cute omg! Third day's breakfast T.T OMG! Got sandwich some more and the fruit is way too good for me. Very tasty and for those who know me well, you know I don't eat vegetables but this whole trip I finished all the veggie even Cheesie almost tears for me lol. This stay is something similar to COCOROKURA 1 because it's just right beside it. It's also a combination of modern and traditional Japanese style room. The second floor is also our bedroom but added with a lovely grey sofa which look extra chio and insta worthy lol. I love the whole interior because it's made of Japanese wood and just in love with muji-style lol. Perfect sunlight with perfect bed. The trip was extra awesome when you travel with the right person. Thank Cheesie for everything including this opportunity and being my translator during the whole trip. Just finished edit all of the photo and I can't wait to share more beautiful travel journey & photos I took during this trip for you guys! Oh yea, just to let you know that you can use my code 'HomeAwayChanwon' for your next booking on www.homeaway.com and enjoy the 8% off for your vacation home booking! Ps: if you are planning for your next vacation then hope this code can be useful for your next vacation booking. That's all for today. Love, xoxo. I will see you on my next post!